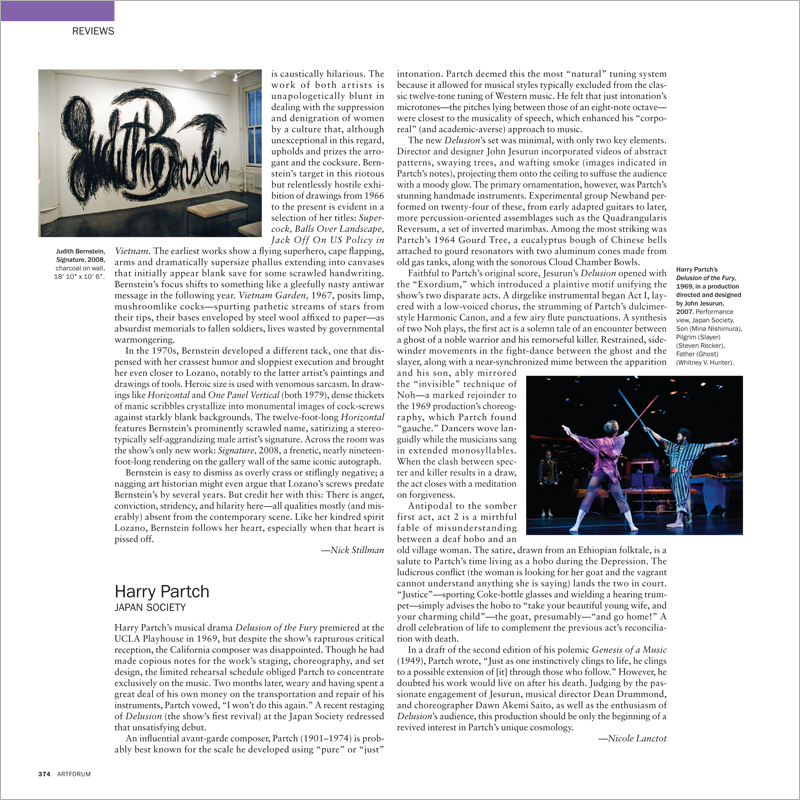 Harry Partch’s musical drama Delusion of the Fury premiered at the UCLA Playhouse in 1969, but despite the show’s rapturous critical reception, the California composer was disappointed. Though he had made copious notes for the work’s staging, choreography, and set design, the limited rehearsal schedule obliged Partch to concentrate exclusively on the music. Two months later, weary and having spent a great deal of his own money on the transportation and repair of his instruments, Partch vowed, “I won’t do this again.” A recent restaging of Delusion (the show’s first revival) at the Japan Society redressed that unsatisfying debut.